10 MINUTE Brussels Sprouts Quinoa Rice dish! 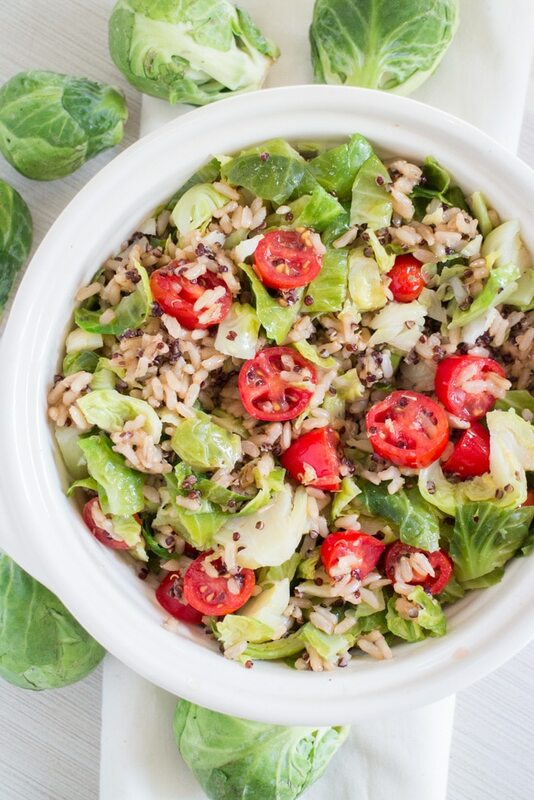 This EASY clean eating recipe is made with Minute Rice and served with fresh Brussels Sprouts and cherry tomatoes! This wholesome meal is gluten free and vegetarian – make it for a work lunch or easy dinner! Who knew that once you had a baby you immediately forgot to feed yourself. On the first day home I already found myself looking at the clock at 5PM and remembering I never ate lunch. After this repeated for a few days, along with 3 hour sleep nights, I knew I was going to have to change some things and make sure I was getting the calories and nutrients needed for baby and me. So I opened up the cabinet and pulled out a couple cups of Minute Ready to Serve. Then I opened up my refrigerator and pulled out Brussels Sprouts and tomatoes. In 10 minutes I had a delicious lunch ready to serve, along with leftovers for the next day. 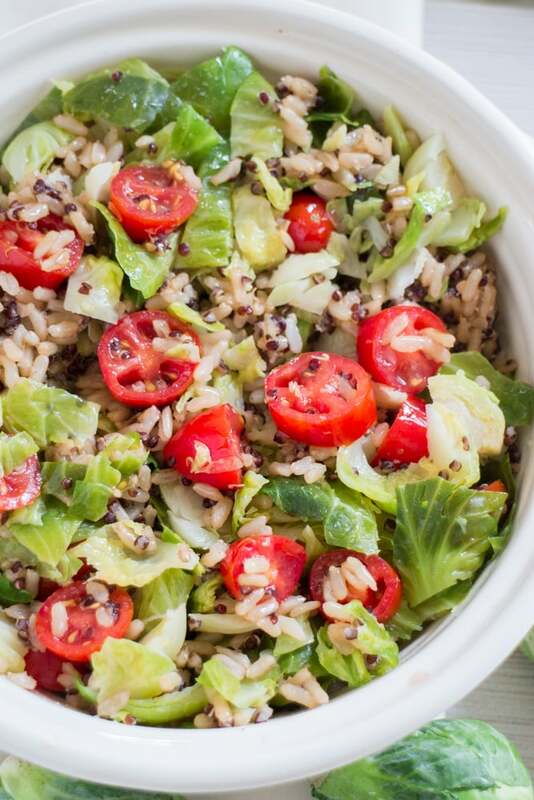 High 5 to Mom for making a wholesome, yummy lunch – 10 Minute Brussels Sprouts Quinoa Rice! The Minute® Ready to Serve Organic Red Quinoa and Brown Rice with Garlic only takes 1 minute to make which is amazing. It’s a perfect solution for a fast lunch when trying to eat better. 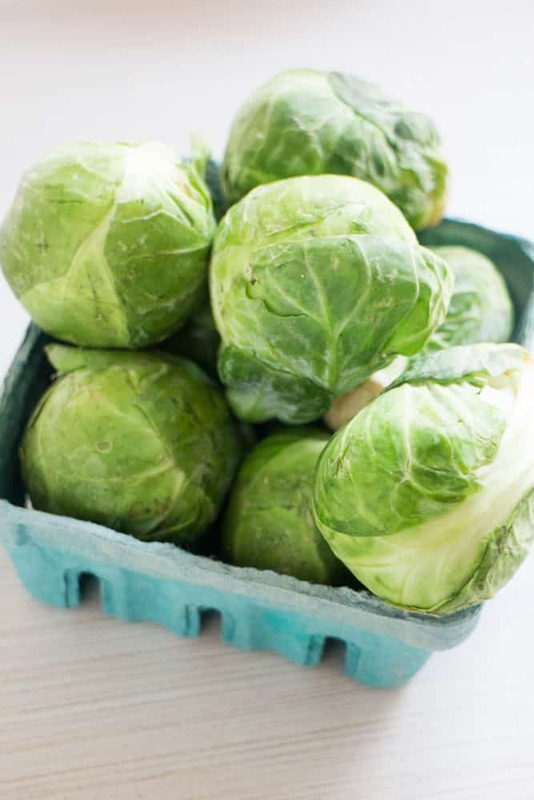 While the rice is cooking, throw the Brussels Sprouts in a small pot of water to boil to soften them up so you can easily cut them up. While they’re boiling, chop up your tomatoes too. Once the Brussels Sprouts are done, drain them, and throw everything together in a bowl. 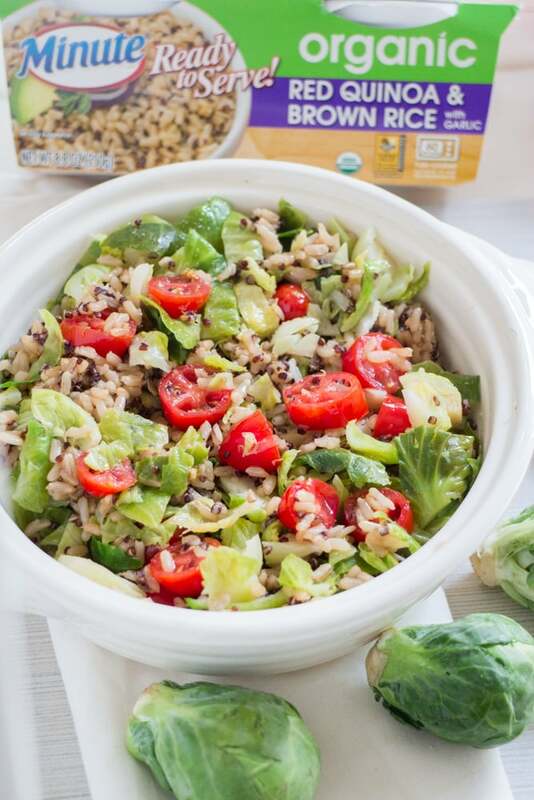 Just like that, your 10 Minute Brussels Sprouts Quinoa Rice is ready to be served! My favorite variety is Minute® Ready to Serve Organic Red Quinoa and Brown Rice with Garlic because it’s so flavorful that I don’t really have to add anything else (makes it more easier!). It’s a blend of organic red quinoa and organic brown rice combined with garlic and onion. It’s 100 % whole grain so it’s a great source of daily fiber! They have 5 new Ready to Serve products, including many that are gluten-free and preservative free. These are great for easy portion control since each variety is conveniently packaged in individual single serving size cups – perfect for a portable lunch for work, plus you can eat it straight from the cup if you’d like! If I’m at the studio or Matthew is home, I will make this entire recipe and split it in half for both of us. I love that it’s so easy to prepare even on the go! If I’m at home solo, I will half the recipe, or make it full and have leftovers for the next day since I never know when Enceladus is going to become fussy and my afternoon plans are out the window. I’m still trying to figure out her schedule, so right now flexibility is key! Not only is this great for lunch, but a few nights ago I made tomatillo chicken and needed a quick side dish that was filled with veggies. I quickly cooked some fresh cauliflower from the garden and made this 10 Minute Brussels Sprouts Quinoa Rice for a side dish – it was so delicious with a little salsa verde on top! If you’re looking for an easy lunch or side dish I hope you give this recipe a try! Enjoy! 10 MINUTE Brussels Sprouts Quinoa Rice dish! 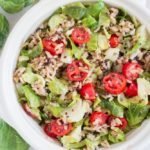 This EASY clean eating recipe is made with Minute Rice and served with fresh Brussels Sprouts and cherry tomatoes! This wholesome meal is gluten free and vegetarian - make it for a work lunch or easy dinner! Heat rice according to directions. Empty into bowl. Boil a small pot of water. Add Brussels Sprouts and boil for 10 minutes. Drain, and then chop them finely. Add Brussels Sprouts, tomatoes, olive oil and salt to the rice bowl and mix. 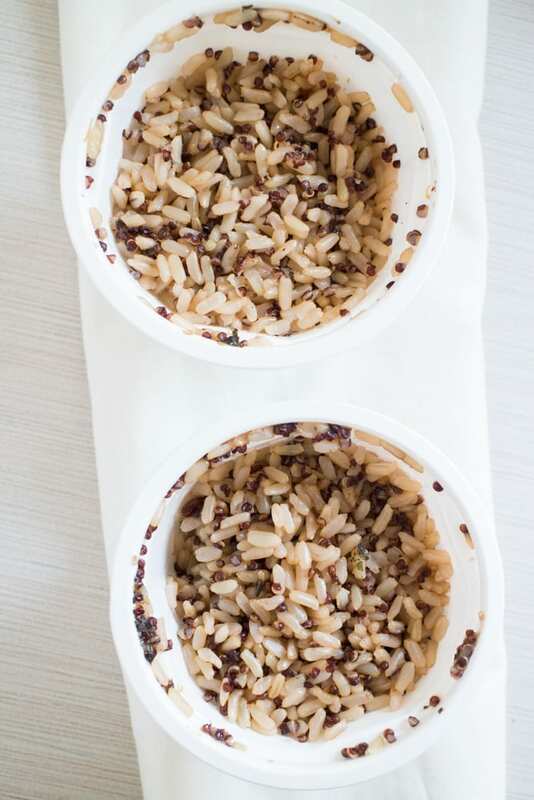 2 cups of Minute® Ready to Serve Organic Red Quinoa and Brown Rice with Garlic equals 2 cups of cooked rice. Sounds like a perfect, lazy lunch! My mother loves brussel sprouts so I think this is going to be a winner! OH WOW … I love how versatile and wholesome this recipe is. It looks absolutely amazing as well? Easy and quick meals are always a win at my place. 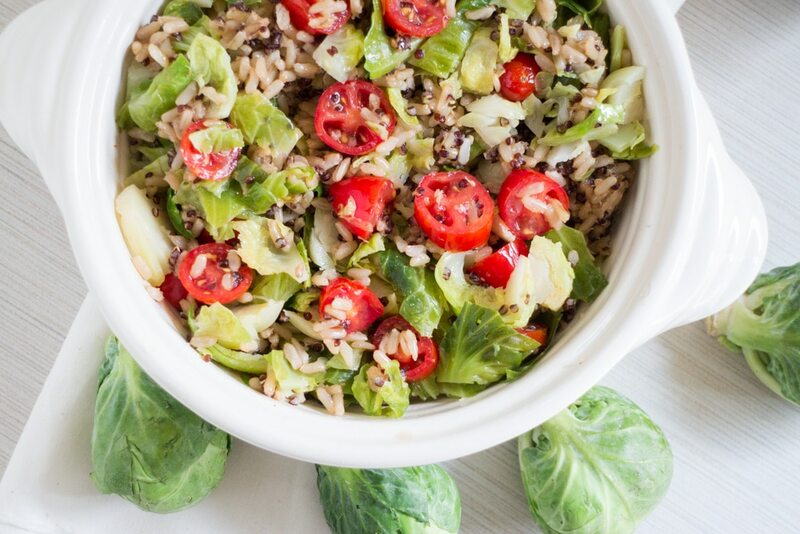 This brussels sprouts quinoa rice looks so flavorful and delicious. Love the fact this can be ready under 10 minutes. This is a fantastic quick and healthy meal! I love the convenience of Minute quinoa and rice. I’ll have to check it out at my store. Your baby is adorable! Enjoy every minute—it goes by quickly. Love anything that is delicious and ready in 10 minutes! This looks so yummy! Easy meals & flexibility are definitely key with infants! This looks yummy! I love this dish and so remember what it was like trying to function with a new baby. I’ve scheduled this recipe to my group boards and can’t wait to try it! 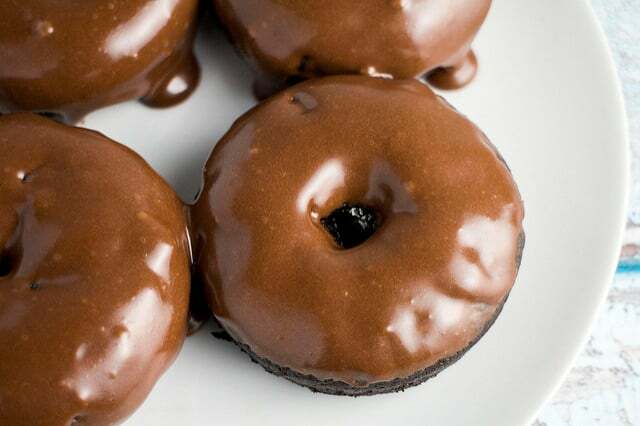 The photos are inviting me to taste it right now. This looks so yummy. Thanks for sharing with us all. A lovely healthy tasty lunch! I love it! Wow, that looks good! An unusual combination but will definitely try it! The best part of this is the ten minutes! I love quinoa and easy dishes that are also healthy. Honestly, I am such a bad vegetable eater. I do not like brussel sprouts even though I keep trying them. I love cabbage, but just can’t get into the brussel sprouts. My hubby, though, loves his veggies and brussel sprouts, so I may just be making this for him! Thanks for sharing at Celebrate Your Story! Yum, and brussel sprouts are one of our new favorite things to grow in the garden! It’s all about easy during the summer, and the Husband and I LOVE brussel sprouts. Thanks so much for sharing at the #happynowlinkup! That looks yummy! I am going to have to try it. This really looks like such a great combination. I enjoy eating Brussels sprouts but had never thought to eat them with quinoa rice. What a quick meal for a weeknight! I pinned this for future reference. Can you tell us what the sodium content is? Hey Mo La, I don’t include nutrition info on recipes, but if you google “sodium calculator” you can probably find one and do it manually.